Professor Collignon works as an Infectious Diseases physician. He is also a microbiologist and is director of the Infectious Diseases Unit and Microbiology at The Canberra Hospital. He is also involved in teaching and is a Professor at the Medical School of the Australian National University. He is active in many research and public health advocacy issues dealing with different infections and their risks. Particular interests are antibiotic resistance (especially in Staph), hospital acquired infections (especially blood stream and intravascular catheter infections) and resistance that develops through the use of antibiotics in animals. He is extensively involved in Infection Control projects looking at procedures and current practices in medicine and how these may be improved to decrease the risks for patients acquiring infections. 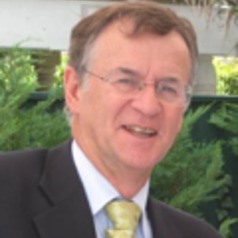 He has been and continues to be an active member of many national and international committees, including those of the Australian Quality and Safety Commission. He has been appointed to many of the expert committees of the World Health Organization (WHO) on the issue of antibiotic resistance and the use of antibiotics in food animals. In June 2010 he was made a Member of the Order of Australia (AM) for services to Medicine in Infectious Diseases, Microbiology and Infection Control.